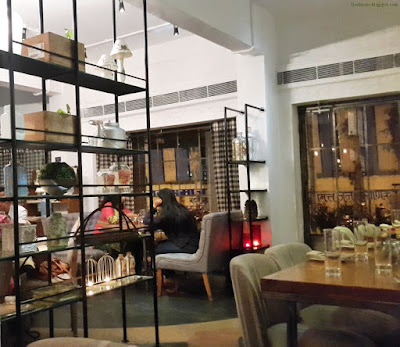 Grubzon - A Gourmet Voyage: Terttulia - Shivaji Park, Mumbai. It was a rather eventful day. We were attacked by a strange ship with black sails and no flag. Me brave crew engaged them in battle and managed to drive them away but not without taking a few hits. Me ship's central mast was damaged and needed urgent repairs. Our sails were completely torn and there was cannon damage all over the hull. The enemy crew were masked rogues who attacked us without warning. Those filthy barnacleheads. I guess, we were not alone in the hunt for the Blue compass. My head hurt as the ship Doctor bandaged it. The next mark had to wait. We sailed to the nearest port for repairs and I decided to explore the local taverns with Nina. I stroked her, poor thing must have been frightened from all the chaos and battle. Or was she? Terttulia has been on my radar for quite some time. It has some favorable traits namely European food, walking distance from my home and being well known for desserts. However, I had never been able to secure reservations in the past. Though after this experience, I am going to certainly try harder for a reservation. This place is worth every penny and moment spent. To have such a gem exist in my backyard is truly a privilege. 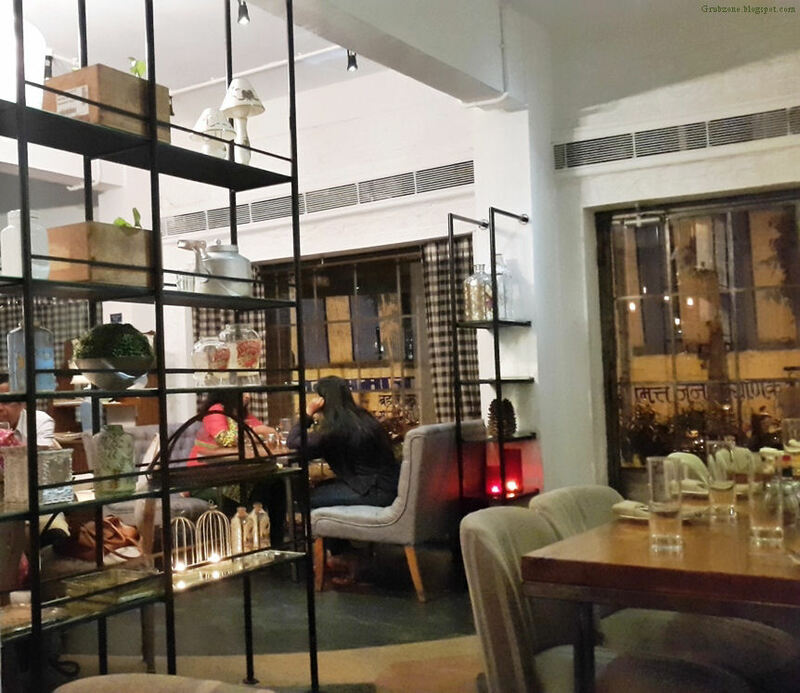 The place has a small dining area and a comfortable ambiance. Its definitely not the best of places in the matters of decor but it does seem to seamlessly stitch together a football tavern and a family bistro into a single restaurant. Good for grub with family and friends. The choice of the ambient music however seemed a bit odd and I felt that classical Kenny G tunes would be more apt. Terttulia in Spanish means a place for people to meet and discuss affairs. It did seem to live up to its name given how crowded the restaurant was with groups of people. This walk in was special. I was invited here in my capacity as a food blogger. 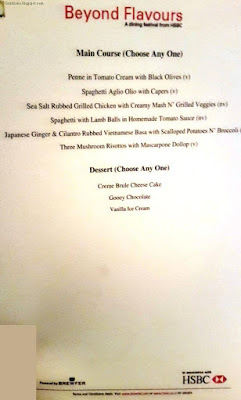 I was to sample a special set menu called as "Beyond Flavors" powered by Brewfer.com in association with HSBC Bank and Food Bloggers Association of India(FBAI). 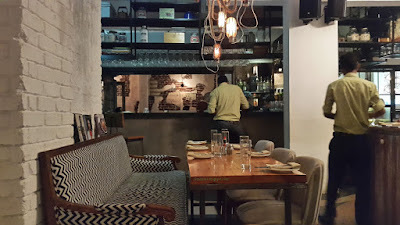 However the polite and soft spoken manager of Terttulia, Mr. Vinod Mishra insisted that I try things beyond the menu to be able to assess their grub better. What followed was a memorable evening of good food and drinks. A snapshot of the Beyond Flavors menu. 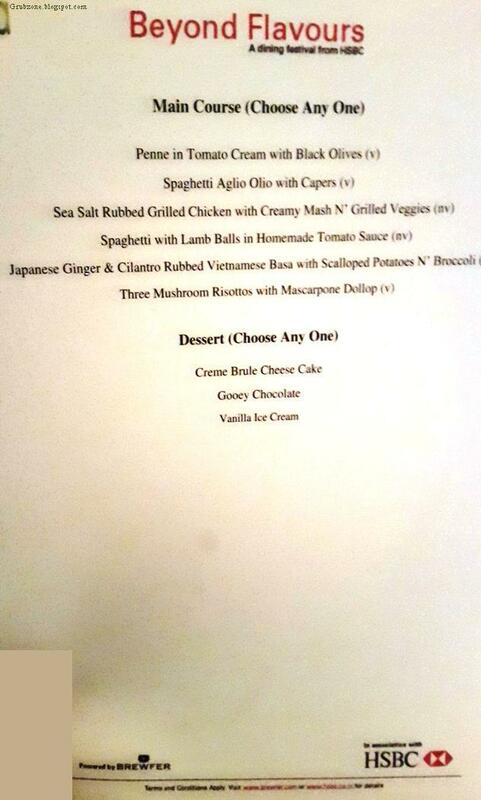 Terttuila rolled out all its best sellers for this special menu. Soup of the day was a thin soup made of Iceberg lettuce, celery pea shoots and other greens. 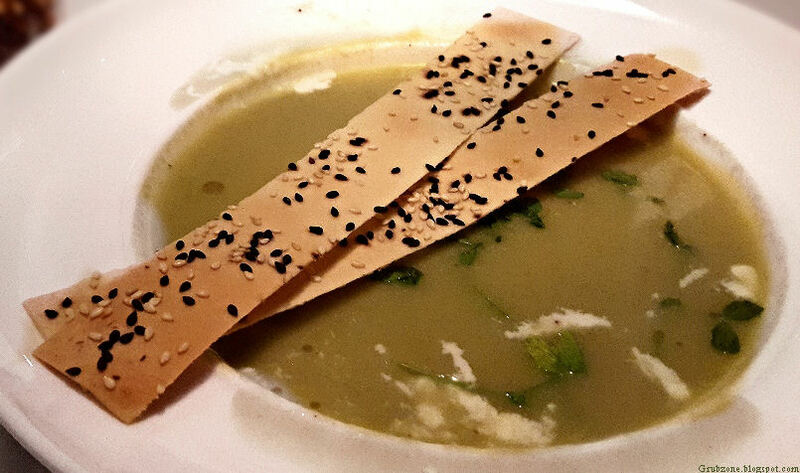 It was served with thin Lavash crackers. This was salty, savory and seemed more suited to be a vegetarian friendly soup. Though cubes of curried chicken were added as I had opted for a non vegetarian variant, they felt like a mismatch. Orange Basil Mojito was a cool house special. This tangier than thou variant was more colorful and flavorful than a normal mojito. Terttulia's young barkeep Vicky was really a good mixer. The Rum's normal kick gained a sour flavor and it felt as if me senses were being warped in a tangy twist in la-la land. Chicken Tapenade. Traditional Tapenade is a Provençal(France) spread used in certain European dishes. This spread was applied to succulent chicken morsels with a kebab like structure. The result was a heavenly flavor with several shades of savory and a subtle basil flavor which could be felt as an after taste. Despite the preparation's humble appearance, it was packed with a powerful flavor. Truly, a great Hors d'oeuvres to start the dinner with. Captain : Hmm, this feels so soothing for my wounds and dark memories. Such good soul food. Captain : Oh stop begging. I'll save you a piece, you little furball. 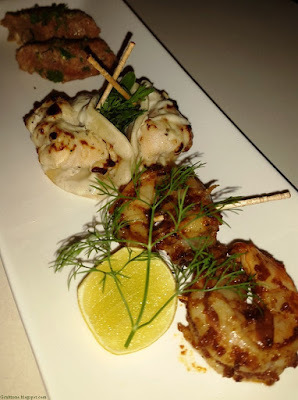 At this point, Executive Chef Kamal Thapa served me tasting portions of six more appetizers. Brie Cheese and Mushroom Bruschetta (Front) felt pedestrian. The flavor felt incomplete somehow. Perhaps a bit of tomato would have helped. Mini Quiche of Spinach(Behind Bruschetta) and corn were little cups of great joy. The cheese, corn and spinach mixed with spices created a perfect bite. 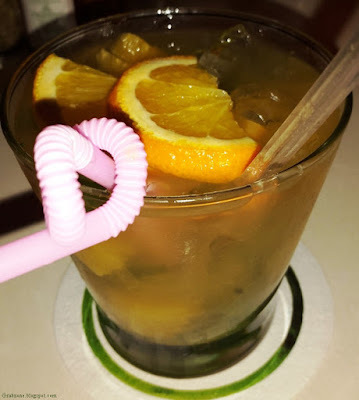 It felt amazing with the Mojito. 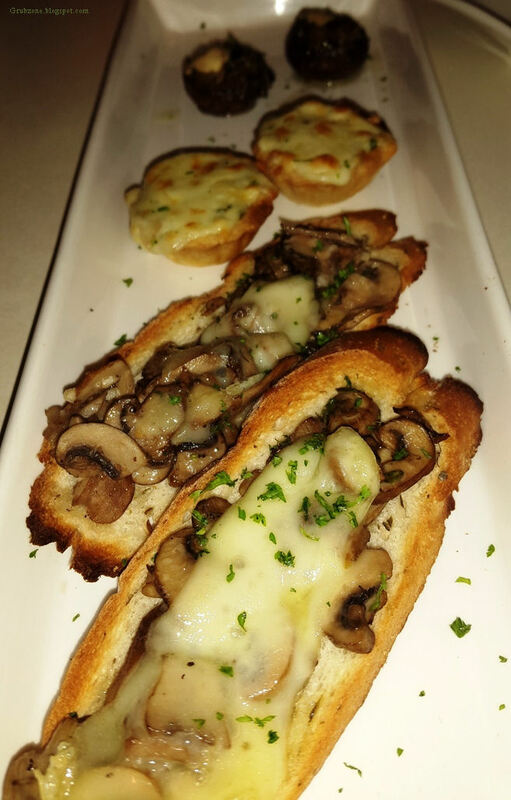 Portobello mushrooms with olive and feta(last) was a simple construction that made a great bar nibble. Grilled prawns rubbed with Sundried Tomato(Front) - Mildly tangy prawns which smelled wonderful and would taste well with all acidic drinks. Blue cheese Chicken Kebab was made of minced meat with blue cheese. It was packed in a Pita parcel. The Kebab felt soft and melted in the mouth leaving behind the flavor of the cheese. I enjoyed it on its own but this again would go well with a drink in the hand. Three cheese lamb Kebab was a kebab which packed flavor and cheeses inside the meat. It was salty, savory and a bit juicy. Its better eaten on its own. I found this as delectable as the Tapenade. May try a full platter of this next time. 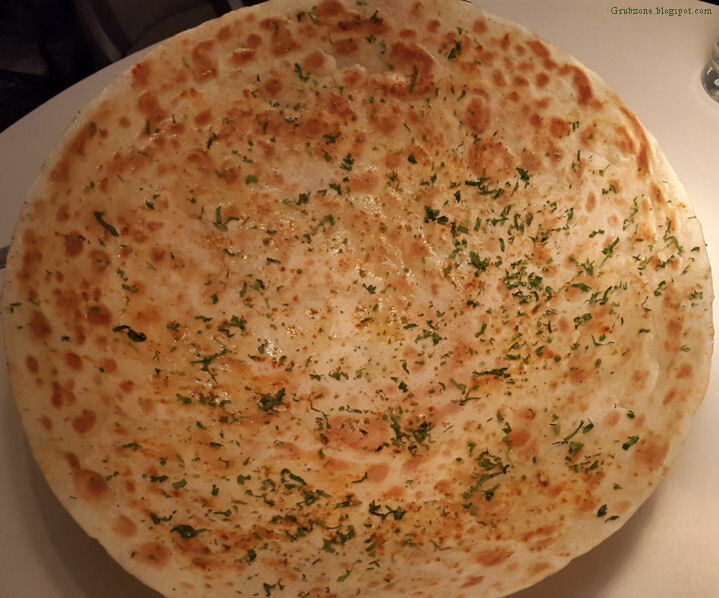 Karari Roti - This was actually shaped like a reverse dome or a bowl. It was huge as well, like a small satellite dish ha. It tasted spicy, was full of masala and was crispy. It mimicked the Khakra snacks. Felt like a nice filler in between courses or conversations. Spaghetti and meat balls was a flavorsome (though a bit greasy) preparation with homemade tomato sauce and minced Lamb meatballs. 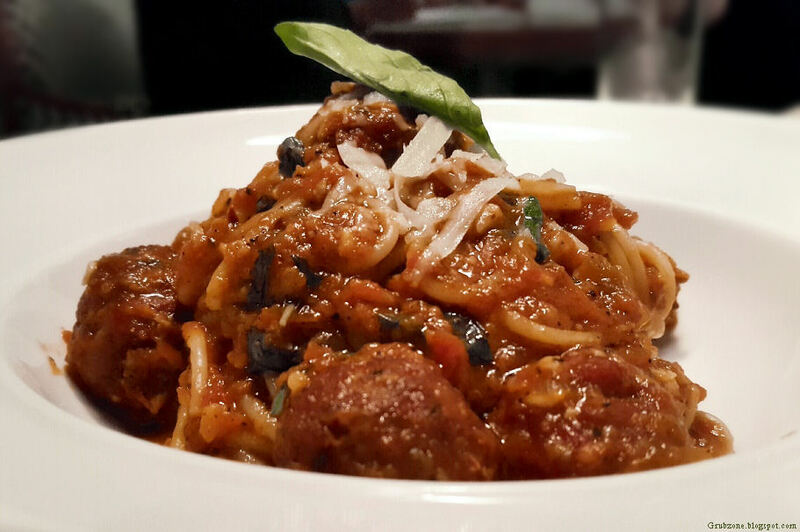 It was slightly spicy for spaghetti but was quite satiating and a decent emulation of the Italian favorite. I was feeling quite full by this time. Shame since Terttuila excels in the "Mains" department and has ample offerings. Captain : I wonder if the repairs are going well. I wonder who attacked us. Captain : Which makes me wonder, you don't look scared at all. In fact, the rogues seemed to have retreated when they saw you. I quite love both Cheesecake and Creme Brulee,so I was chuffed when I saw the Creme Brulee cheesecake on the Beyond Flavors menu. And this exceeded my expectations. 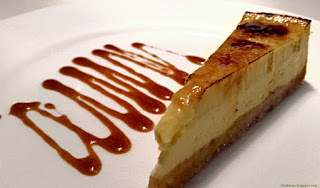 The caramel like flavor of creme brulee had penetrated deep inside the baked Philadelphia cream cheesecake. The flavors had truly married each other. A bit of creme brulee was also placed on top of the cheesecake. This dessert excelled in all departments - The aroma, visuals, flavor and texture. If you happen to visit Terttulia, do have this. Captain : Oh this be quite divine. Its like a double rainbow. Two delights rolled into one. Captain : Hey, get off the table. The owners will throw us both out if they saw that I smuggled in my cat. Belgian Chocolate Mousse was one of ze best mousses that I have ever had. Though visually it didn't look very alluring, the first bite however made me fall in love. The sweet bitter flavor was perfect. The strawberry compote added a great tangy twist to the sweet bitter flavor and the marshmallow cream was a much better side than whip cream. 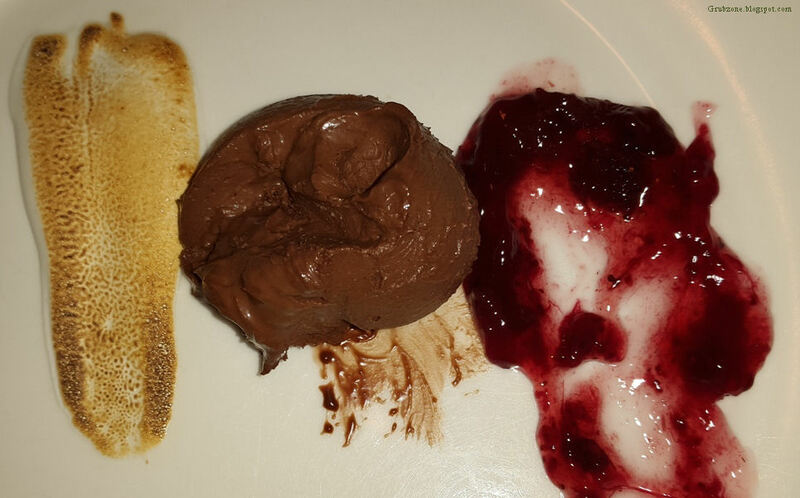 All three elements on the plate gave me a dessert high. 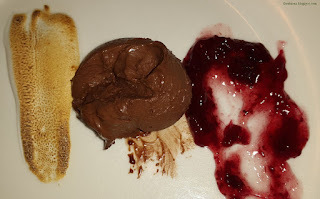 I thought, I had a great cheesecake but I think the mousse was even better that night. Captain : But why did the attackers retreat upon seeing you? Is it because you are an ugly Cat? Captain : Ouch, don't claw me pretty face lass. I was just jesting. You have been lucky for us. 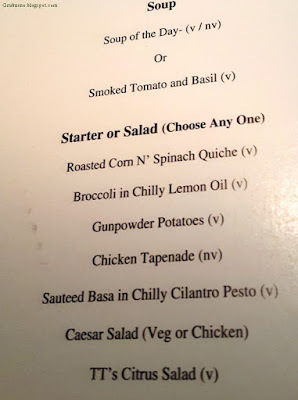 The service was quick and fast at the start though there was a long gap between the appetizers and the main. I had to signal the serving staff to get the main out eventually. However, the crew was professional and Mr. Mishra personally visited all the tables on a crowded Sunday night. 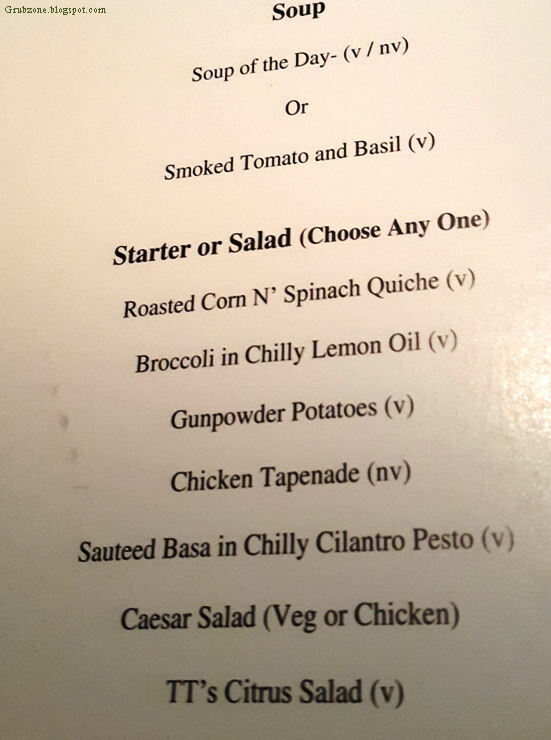 The Pricing for Terttulia is cheaper than similar continental restaurants. The quality seems to match the likes of Indigo and several restropubs in Lower Parel/Bandra but the food costs are remarkably lesser. This was my first trip to Terttulia and will definitely not be my last. The menu is huge and I look forward to walking in to try their other mains. To me, Terttulia is definitely one of the better restaurants of Mumbai. "I feel inspired lads. We are not going to back down. Raise our new sails and fix the mast. Get in more cannons. That compass be ours and only ours.